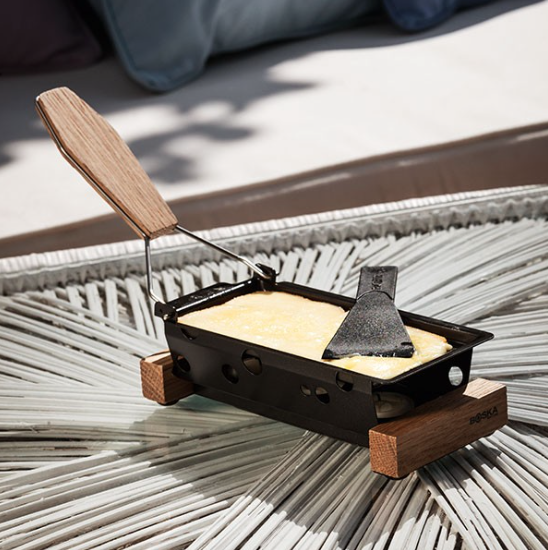 The Partyclette To Go Taste is specially developed by Boska to ensure that you can enjoy raclette, anytime and anywhere. At home, at the park, at the beach, or at the campsite. That way you can make a delicious cheese dish to enjoy with friends anywhere you like. The Partyclette fits in just about anywhere. In a student dorm, a party, a night of drinks, or a barbecue. Make new friends with the Partyclette! Partyclette: the new party trend? 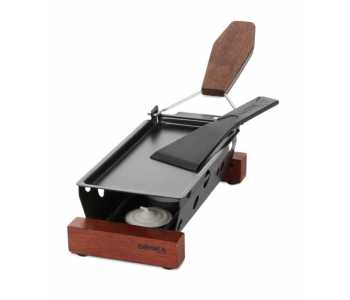 Boska aims to inspire people on what you can do with cheeses and introduce them to new possibilities. 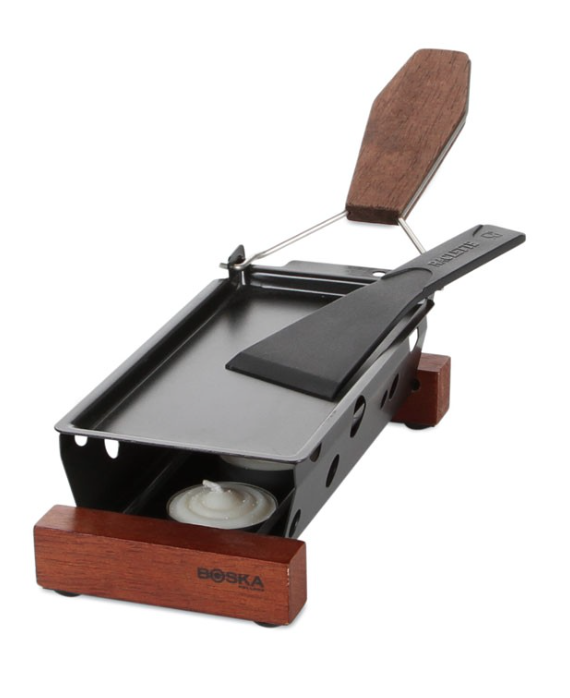 Naturally, Boska hopes to teach people about melted cheeses. 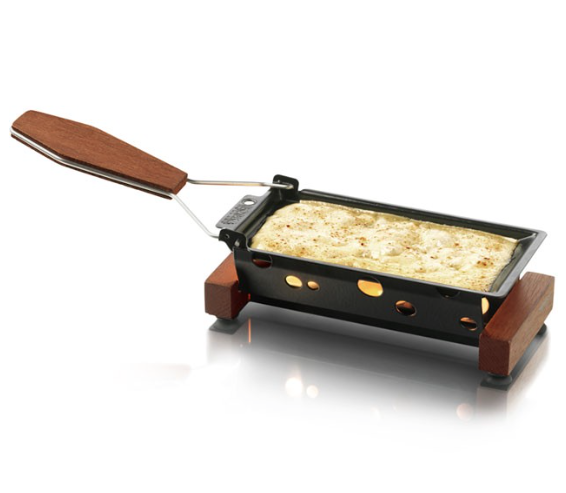 In this case, Raclette. You do not have to book a flight to Switzerland for that. 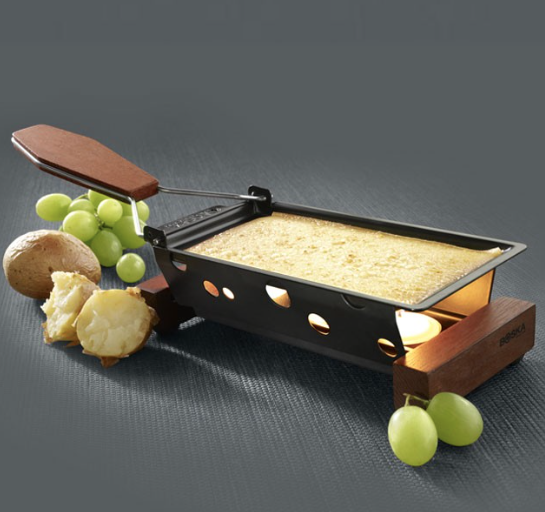 Raclette is a domestic activity? Not if you ask the Boska team. It would be wonderful, if it were possible to enjoy grilled cheese at the park, at the beach, or at the campsite. Really, a party without a good cheese dish is not a party at all! The Partyclette To Go was developed with this in mind. 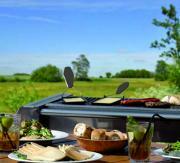 You can melt any type of cheese you like on the special oak burner with tea lights or on a barbecue. The Partyclette is neatly designed, compact, and portable, meaning you can use it anywhere. This Partyclette melts all cheeses. 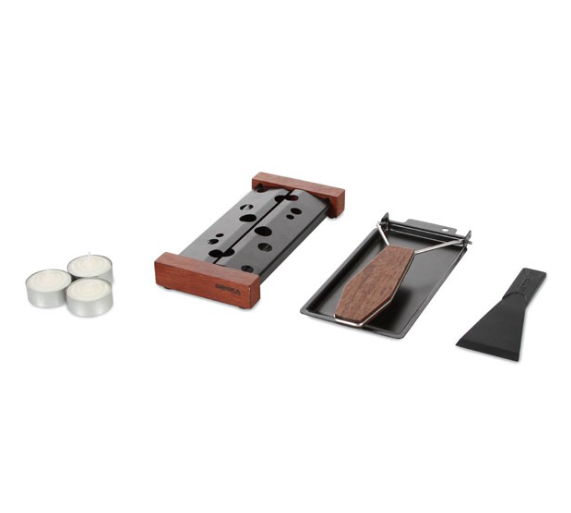 Allowing you to prepare a delicious meal in a snap. Bring the magic to the dinner table. Electricity? No need for that! Tea lights are enough. Charmingly romantic, a delight for all occasions. 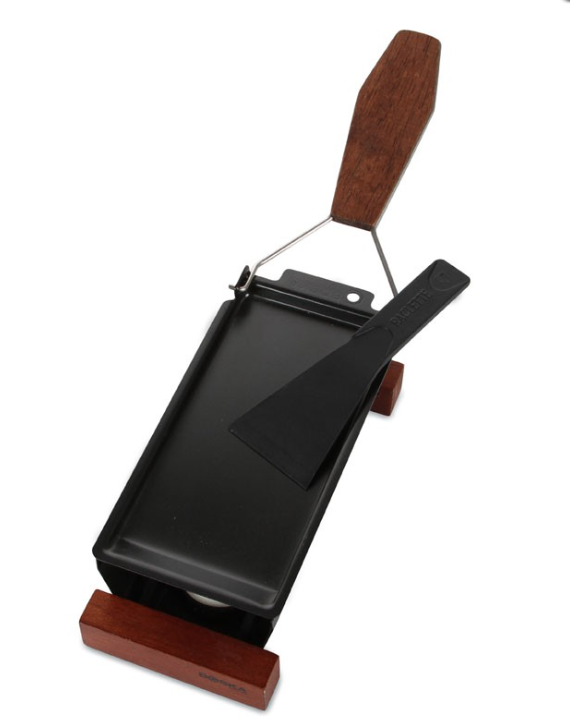 The Partyclette has an anti-stick coating and is therefore easy to clean, ready for the next course. The smart design prevents cheesy leftovers, makes it easy to wash, and simple to pack up for the next party.